In 1916, the National Park Service was signed into existence by President Woodrow Wilson to coalesce the protection and management of national parks and monuments under a single federal organization. One hundred years later in 2016, Darius Nabors and Trevor Kemp visited their 59th national park, the last stop on their journey to visit all 59 national parks in 59 weeks. Their adventure captured national attention along the way. “As I was on this trip, I was taking 360 degree photos and writing blog posts for fun. I never imagined how much news coverage I would be getting -- NPR, PBS, American Airlines -- the whole nine yards,” says Darius, founder of Vicarious Ventures. Darius is working to bring all of his family’s history and love for the national parks to everyone. “About 330 million people visit our national parks every year in person,” Darius states. “But that group of people has the time and finances to visit these places -- to be able to take time off from work and have the money to travel is a luxury many Americans don’t have. To me, this project is really about capturing the essence of the national parks. The national parks were created for the people to experience -- all the people. What I would love is to bring all of the national parks virtually to every one of the over 50 million K-12 students in the US. Instead of putting every kid in Yosemite, I want to bring Yosemite to every kid,” summing up his vision. Darius has bigger plans for Vicarious Ventures beyond schools, however. “I don’t want a hundred thousand users. I want a billion users -- or more. 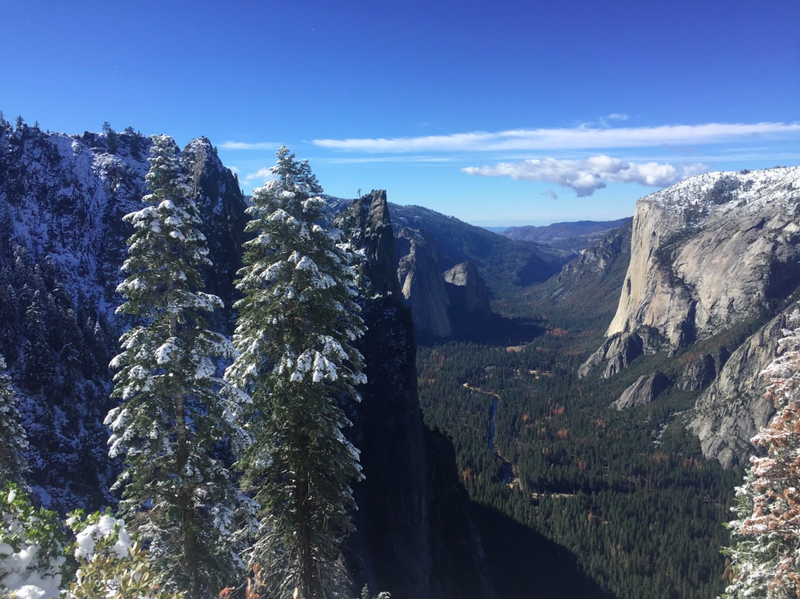 I want 100% of the planet to visit Yosemite,” he says earnestly. “And even beyond the US, how about bringing Kruger National Park in South Africa or the national parks of India to the US and to the world? Let’s share these not just national, but worldly treasures with everyone in a way that, honestly, makes for a more sustainable world. If you can go visit Kruger virtually and not have to fly to South Africa and increase your carbon footprint, you can show your appreciation for the ecosystem of the park by protecting it with your actions,” he explains. Darius Nabors graduated from the University of Virginia in 2007 with a B.A. in Political Philosophy, Policy, and Law. He has taught 4th grade and was a corps member with Teach for America. Darius has also worked extensively at the University of Virginia with the Office of Residence Life, the School of Nursing, most recently as an Admissions Coordinator at the Frank Batten School of Leadership and Public Policy. Darius has been a lifelong supporter and visitor of the US national parks. Read more about the trip Darius Nabors and his friend Trevor Kemp undertook to see all 59 national parks in 59 weeks at http://59in59.com. You can follow Darius’ continued travels in the wilds and parks of America on Instagram, Twitter, and Facebook. All photos in this article were provided by Darius Nabors.